If asked to visit a place known as Dara Shikoh Library, one would have in mind a library, possibly filled with ancient books. The remains of what was the “forgotten prince”, Dara Shikoh’s Library now leaves no hint of the royal library it once was! This historic building was built in 1637 by Dara Shikoh, Shah Jahan's eldest son. He was an intellectual individual with a thirst for knowledge and spent a considerable amount of time in the library much like his ancestors, Akbar and Humayun. Many are unaware of the historical significance of the building. Around 4 centuries old, the building is now almost in shambles. After the death of Dara in 1659, his library passed through many hands and underwent subsequent changes. It was once the residence of the Mughal Viceroy of Punjab. It also served as the residence of Sir David Ochterlony (1803 A.D.), the first British resident in India who was the only British officer known to have adopted Mughal customs. He renovated the outside and added roman style pillars and a verandah however the building was damaged and robbed of precious books during the revolt of 1857. It housed a Govt. College and municipal school from 1804 to 1904. The plan was to turn it into a Delhi city museum after the then Chief minister, Sheila Dixit visited the building. 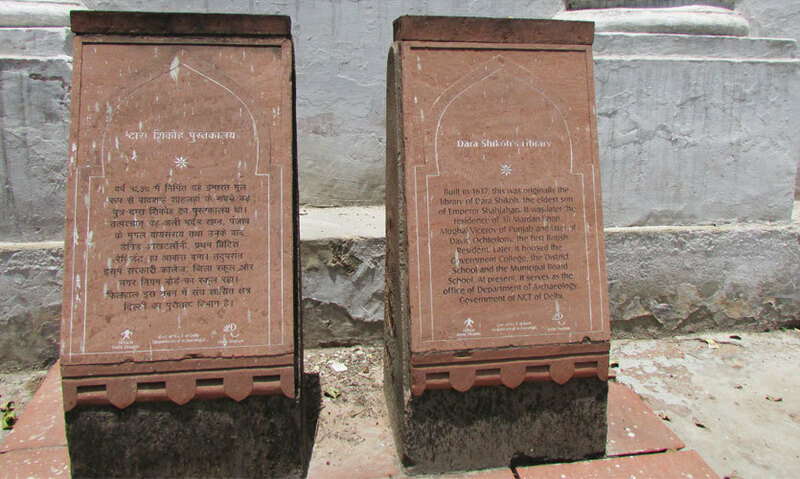 It is presently under the Department of Archaeology, Government of Delhi. Exhibits from ancient – medieval period lie here. Dusty and broken pieces of pottery from the late Harappan period are displayed in glass cases. These items include- Early historical pottery from the 1st century BC to 4th century AD, moulded pottery from the Kushan & Gupta period and miscellaneous objects of terracotta and bone. It may not be noticed at first, but in a glass case in a corner lies a half buried skeleton which adds to the eerie atmosphere. Note that these items are not related to the Dara Shikoh or his Library in any way and are merely exhibits. The external part of the building seems to be grand as opposed to the interiors, which are nearly in ruins. A basement on the rear side of the building is hidden by debris. Entry to the rooms behind is not allowed since they are apparently used as offices by the department. A careful observation will help differentiate between the Mughal architecture in the interior of the building (basement arches, red-sandstone material) which is enclosed by British design on the exterior. 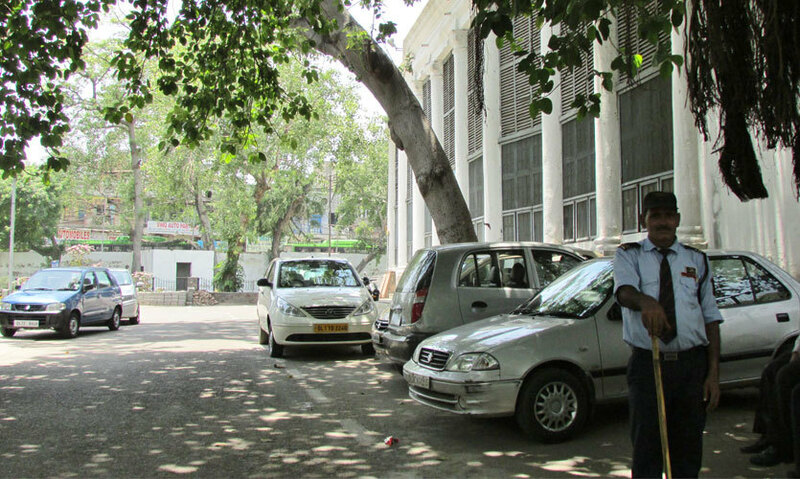 The so called library is a bit out of reach and one would have to traverse the streets of old Delhi, the “Walled City”, in the north of the city near Kashmere Gate. Cross the road from the metro station and walk along the Church road which has old and rickety buildings (and even an Adidas outlet). 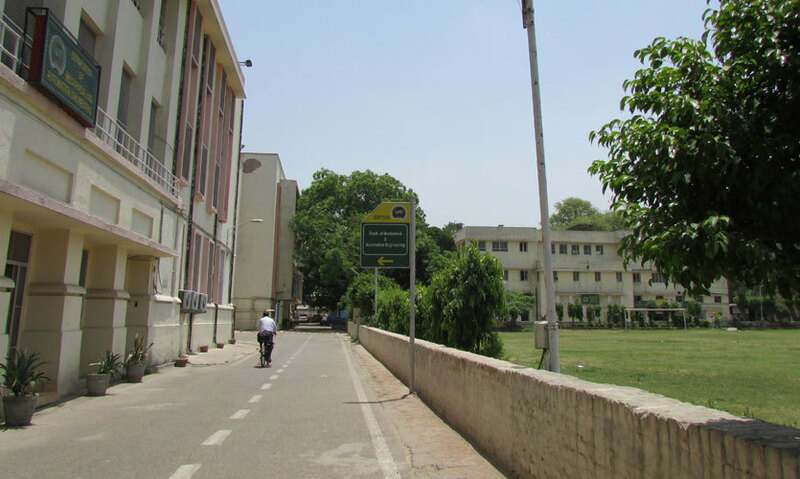 Take the first right and enter the campus of Ambedkar University which is located inside the Indira Gandhi Delhi Technical University. It’s another 5 minute walk to the end the campus where the library building is situated. The helpful security guards will point you in the right direction. When in the area, also explore other sites of historical importance such as St. James Church, Nicholson Cemetery, Qudsia bagh & Flagstaff tower etc.